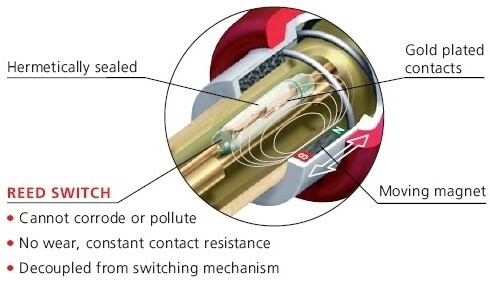 `The lifetime plug` Diecast shell, Neutrik unique chuck-type strain relief with PU-sleeve for optimal cable protection. The perfect solution for switching an instrument under load without creating pops or squeals typically associated with plugging and unplugging the cable from an instrument or amplifier jack.Right-angle version with super slim shape, sleeve contact and shell in one piece. 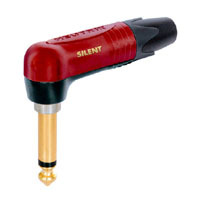 Perfect solution for switching an instrument under load without creating pops or squeals typically associated with plugging and unplugging the cable from an instrument or amplifier jack. ATTENTION! - For use with instrument (guitar) applications only. Damage may occur if connected to amplifier output. Please note that the signal isnt muted with some types of active electric guitars which are equipped with tip-ring-sleeve jacks that tap to activate the guitar power supply.